There are 150 reviews of Pour Un Homme. Absolutely revolting. I mean truly awful. Smells like piss water. No depth or character. I'm lost for words. I have gone though about 600 ml's of this over the past three years, and now have the aftershave and deo stick as well. Recently, I was travelling for a conference and could only wear the same thing for five days, so this was it. A wonderful, reassuring and truly aromatherapeutic scent. The anisette/absinthe accord is incredibly uplifting, and the warm, velvety musk-tonka-vanilla base, , almost simulating a blond tobacco note at times with its hint of green from the persistent lavender, adds a grounding gravitas. Longevity is decent, but to return to the hotel room at mid-day, splash a bit of cold water on my face and reapply was a joy, almost equivalent to downing a stiff gin & tonic. Despite it's naturalism, this is a great fragrance to wear in the cold, grey city. Side note: I sampled a lot of fragrances on this trip, including some terrific offerings from niche lines (Malle, Lutens, Le Labo, Byredo) that are harder to find where I live. Despite the ingredient quality and inventiveness of some of these compositions, I never felt that the (relatively inexpensive) Caron was a poor cousin; I was always delighted to return to my room and see it there on the bathroom shelf. Pour un Homme is an oddity for the modern world, but back in 1934 it was cutting-edge masculinity in eau de toilettes for the guy ready to step out into the night. You have to understand that men wanting to smell good had few options outside of English barbershop tropes, bay rum, apothecaries, or eau de colognes which were the go-to for over a century. Guerlain and D'orsay made strides in France with late 19th and early 20th century efforts that dandies flocked to, while Caswell-Massey had been doing things in America since the 1700's but that was pretty much it outside of a few new minty aftershaves. Everything else was a bespoke commissioned scent or just a perfume used by both sexes. Pour un Homme took the already-popular lavender accord that dandies enjoyed and gussied it up with some richness reserved for femme fragrances at the time, which was rather controversial since no-nonsense guys wore leathery scents, or lighter citric stuff and women wore spicier orientals or florals, a dynamic that would hilariously start reversing itself by the 1970's. This fresh-meets-decadent mixture still baffles people to this day, but more so because the combination of lavender and vanilla are more associated with deodorizer than personal fragrance. This isn't to say Pour Un Homme isn't still a great scent, but one needs to have a special affinity for softer, creamer, almost tranquil accords of lavender, tonka, and vanilla, as those are the primary notes here. Men were no stranger to any of these things, as lavender colognes were immensely popular in Europe at the time, while both vanilla and coumarin had been playing increasingly larger roles in masculine perfume. Combining them now doesn't sound like a very manly thing to do, but in 1934, it almost seemed logical since gentlemen loved it, and this sold very very well. All that lush and florid lavender isn't alone up there in the opening, and has a supporting cast of rosemary, bergamot, and lemon that you'll barely notice. The woods and florals middle section is nearly a connective tissue to deliver the top into a bed of musky civet and vanilla, with also-imperceptible moss and rich tonka as anchors. I kind of liken Alfred Dunhill of the same year to a 30's jazz lounge due to it's earthy honey and leather, recalling cigar smoke, so Pour un Homme would definitely be the fancy uptown opera house with it's expensive champagne and finger food served by butlers between shows. This day and age proves lavender and vanilla to be calming aroma therapy, so this can pull double-duty as stress relief on a busy day. Who knew back in 1934! Wearing this as a day-long scent in the 21st century will yield similarly disparate results: folks unfamiliar with lavender (or fragrance) will assume you applied some Febreze or AirWick in desperation, while others slightly savvier will lavish you with compliments on how nice you smell. 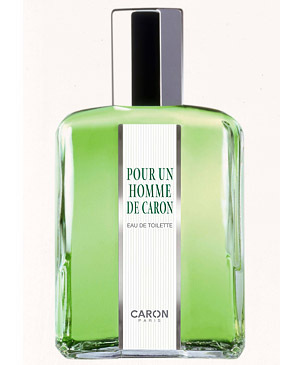 This one has also unintentionally moved towards unisex due to the now-universal appeal of lavender, even if it's title ostensibly advertises that it's "For a Man by Caron" (loose translation). Recently Lush has created the Twilight (2010) line, which moves out the vanilla and replaces it with ylang ylang, making this feel like it's older, more structured relative. Pour Un Homme lasts for hours on a spring or fall day, but doesn't hold up well in temperature extremes mainly because of it's dense composition. Overall, Ernest Daltroff (founder and initial perfumer for the house of Caron) was doing something he probably felt was safe from a perfumer's standpoint, since traditional European gentry often wore just strait-lavender unisex fragrances in those days (like Atkinson's or the sadly long-gone Yardley's), but upon completion proved to be far more gender-neutral than he anticipated. To the modern nose this can only be a good thing, as the more people who can enjoy a product the better, plus the sexual liberation and togetherness implied by a unisex fragrance is always welcome in a new age of gender identities and self-discovery (at least in the western world) that's been a long time coming. Older and less open-minded guys used to say this stuff is the "providence of dandies, whoopsies and the like", which maybe they were right, but for somebody like me, that makes this more attractive rather than something to steer clear of, since my tastes in romance partners also does not abide clear-cut lines either, but I digress. I do get the dandy connection, as the actual dandy culture of the Victorian era saw some pretty racy florals and musky animalics that were anything but the dry, "forthright" masculine barbershop scents that most "men's men" approved of in the day, so something this sweet and rich would have been right at home, had it been released in the late 19th century rather than a pre-WWII 20th. Simply put, if you love lavender and vanilla, this is for you, period. Anyone else having issues with such a soft, sweet, and basic arrangement should move on to later Caron masculines, as they're more sophisticated and varied in tone. Vintage bottles will have a heavier hit of moss and civet, and a tiny bit more herbal finish, but otherwise there is no change from old to new besides the color of the liquid. This is an OK cologne. I wear it once or twice a week with Arm & Hammer "fresh" natural deodorant. It's in-your-face lavender, which dries down to a warm vanilla base. Oh, and it's as cheap as dirt. If anyone reading this has any Nicolai Pour Homme, DM me and I'll pay you whatever you want for it. Metallic rosemary-lavender and sweet vanillic sandal. Pour un Homme is barely more than that. Two notes, carefully balanced, unfurling in a slow and steady evolution that increasingly blends warm with cool, chewy with hard textures, beige with blue. Pour un Homme is for an old fashioned kind of guy. One who is modest and believes that discretion is the better part of valour... and so it should come as no surprise to find that this quiet and simple composition were in danger of being misunderstood in these days of high contrast formulae which broadcast at top volume. To underestimate this scent - just because it doesn't grab you by the nose - would be a mistake. It takes time and effort to get to know this one, (it took me quite a while to come round to it) but in the end the effort pays off. Until Ernest Daltroff had the idea of pairing lavender with vanilla to create a masculine no one had done anything like it before. Despite the claims made for Jicky (which was originally a feminine) and some of the more dandified eaux de colognes, Pour un Homme was the first Eau de Toilette made solely for men. For Daltroff this was a brave thing to do, some may even have thought it foolhardy, and for his business it was a gamble - a risky venture into the unknown. Men were not used to anything more than a brisk splash at shaving time which quickly faded away. For perfumers the problem was to avoid making anything for men that smelled (or lasted) like their wife's perfume. Anything effeminate which could pose a threat to a man's sense of his masculinity was to be avoided like the plague. Anything flowery or sweet must, you would have thought, be rejected by the conservative taste of the male, and that's what makes the uptake of Caron's groundbreaking sweet lavender so remarkable. It was a huge success despite being a masculine that hugged so closely to the feminine codes. Or perhaps (in an era when most men wouldn't have been seen dead at a perfume counter) Pour un Homme was a winner precisely because it appealed to the wives, mothers and girlfriends who actually bought the stuff for their men. And then there is the vanilla base accord, backed up by sandalwood and amber. Sweet, yes, but who could possibly feel emasculated by the smell of toffee, cocoa and home baking; possibly just a slight regression to the oral stage of childhood dependency...? But there are no feminine flowers to scare off the wary male, just a slow evolution of subtly mingling contrasts and harmonies that he could ignore if necessary or enjoy if he chose. PuH couldn't afford to be brash and in-yer-face like todays 'look at me' selfie style formulae. 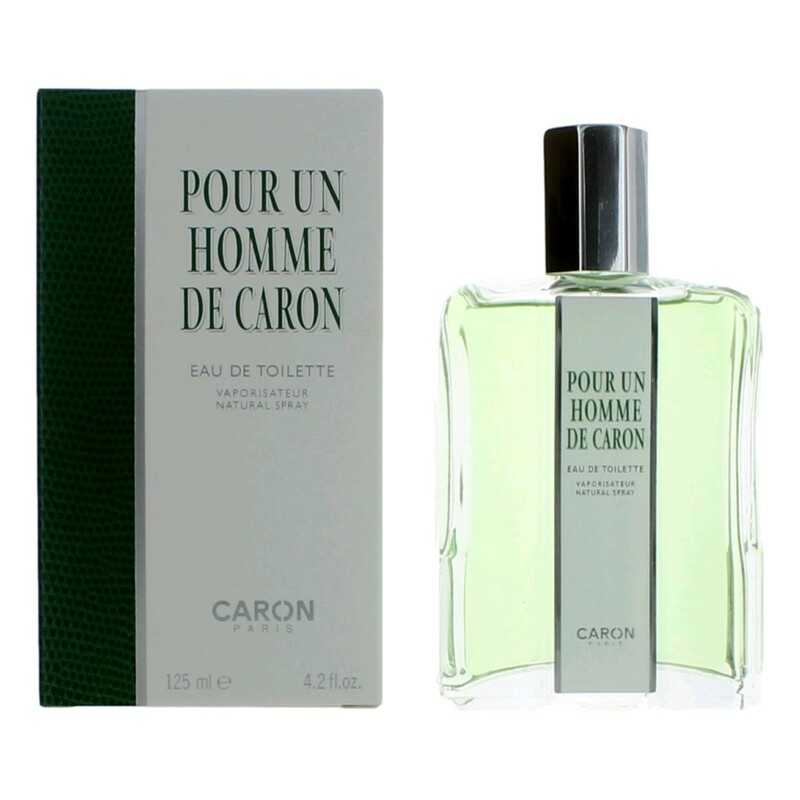 Back in 1934 Caron couldn't have been sure that men would take to wearing perfume of any kind; they had to tread carefully. This meant they had to offer something that was not too complex or difficult, something built around familiar notes, something masculine yet pleasing to women, something easy to wear yet still a little sophisticated. Something like Pour un Homme. Even though it may feel tame by todays standards, launching this very subtle and captivating "special creation" for a man was a bold move. Caron took a chance, jumped into unknown territory and their gamble paid off. PuH became a triumphant best seller, and the house's biggest commercial success. PuH was equally important for the wider world of perfume. It became the foundation for a whole new genre (or should that be gender?) of perfume, the one which has grown into what we now know as the masculine side of the aisle. 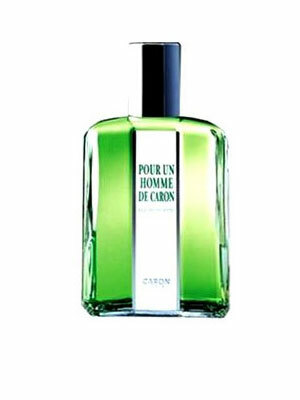 Pour un Homme de Caron; two chords that changed the face of perfume, two chords and a visionary nose. A beautiful, powdery lavender, followed by rose, chocolate and a musky vanilla. It's well done. Masculine, but could be worn by a lady. Well, I wear it. 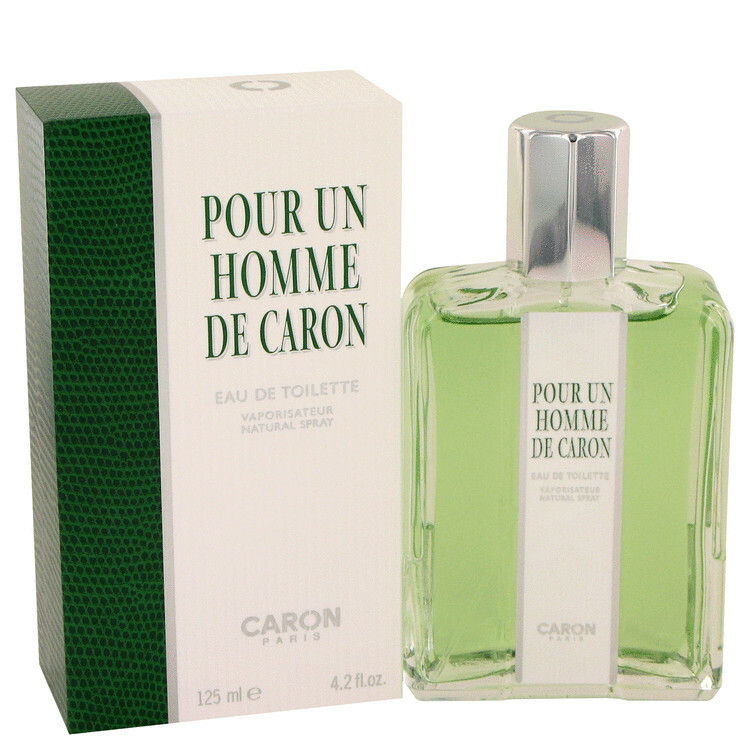 Caron Pour Un Homme De Caron batch no. ?